Red Bull boss Christian Horner has stoked the flames in the engine freeze debate by suggesting a return to V8 engines would offer the most rational solution to F1's problems. 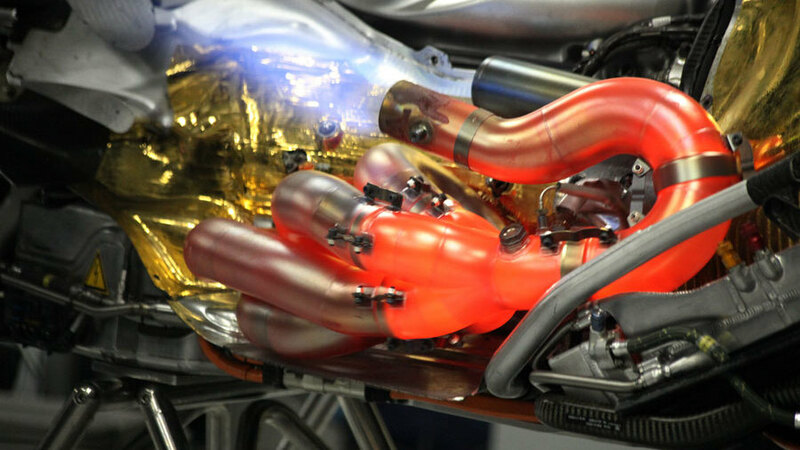 F1's new V6 turbo engines and complex energy recovery systems have received criticism this year despite being significantly more efficient and pushing boundaries of engine technology. The new power units use 35% less fuel over a race distance than last year's V8s and produce more torque, but some fans have complained about the lack of noise while the significantly higher costs have contributed to the financial struggles of the lower half of the grid. Mercedes has also stolen a march in engine development, leaving rivals Ferrari, Renault, and from next year Honda, eager to change the regulations to allow more opportunities to catch up. A shift back to V8s will almost certainly not happen after the investment made in the new technology, but Horner, whose Red Bull team won four titles at the end of the V8 era, suggested that a regressive step would be a rational solution. "Nobody likes to go backwards, but sometimes you have got to consider that desperate means require desperate measures," Horner said. "You're looking at the costs of these power units - how sustainable is it for all the teams and indeed the manufacturers? "I think it's extremely unlikely [we'll go back to V8s] but if we were rational about it then yes we would." Horner has urged F1 to admit it has made a mistake with the new power units and believes it should change the regulations accordingly. "Sometimes you have to put your hand up and say 'we got it wrong'. With the engine regulations the people involved got it wrong. Not only have we got an enormously expensive engine, we've got an engine we're not allowed to develop as well, or have very limited advantage. All you do is freeze in an advantage that you currently see. "Basically the right thing to do would be to create a window for the manufacturers that are behind to catch up if you really wanted to control the cost, but that then wouldn't be fair for Mercedes. So if you're going to open it up you've got to do it for all the competitors. Otherwise we're going to have Mercedes dominating for the majority of this engine life. "It has to be down to the [engine] manufacturers. The teams can't carry the burden of any more costs - top teams or little teams. Unfortunately the cost of these power units has driven two teams out of the sport already and it's a big factor, it's a big issue."